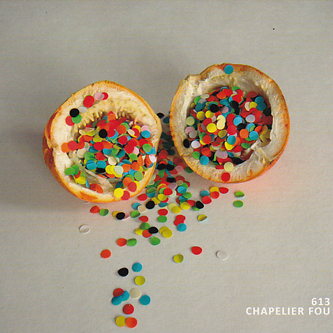 Having been suitably taken with his earlier, self-titled album, it comes as a pleasant surprise to find that Louis Warynski's second long-player as Chapelier Fou has arrived so quickly on its predecessor's heels. The young Frenchman shares a label with like-minded pals Yann Tiersen and Matt Elliott (who contributes guest guitar and vocals to 613), dissolving the boundaries between electronica, cinematic classical music and jaunty European folk. 'G Tintinnabulum' introduces the collection with a shuffling backbeat and a line in melodic guitar and harpsichord interactions capped off with a sprinkling of violins and tuned percussion. Next comes the ace string-quartet IDM of 'Les Métamorphoses Du Vide' and the excellent 'Laggage', led by chiming, dulcimer-like tones and some great small-scale orchestration. 'Secret Handshake' is a very close fit to Tiersen's soundtrack work, full of Jean-Pierre Jeunet compatible violins and quirky romance. In typically incongruous fashion, 'Inside Of You' follows on with skittering beat programming, sliced up samples and a general sense of musical schizophrenia. If you're excited about the Clogs album arriving this week, you could do far worse than to check out 613 - a record that might be thought of as its deranged Gallic cousin.